PRP has been demonstrated to be effective in the treatment of Achilles tendon injuries. 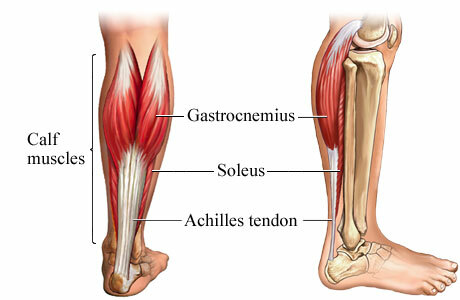 The Achilles tendon, the.thickest and strongest tendon in the body, originate from the calf muscles ( gastrocnemius, soleus and plantaris) and inserts upon heel bone (calcaneus). Achilles tendonitis, an inflammation of the tendon, is painful and can be difficult to treat. Conservative therapy includes trial of NSAID’s, orthotics and physical therapy. At the Centeno-Schultz Clinic we evaluate all possible factors which can potentially cause pain and impede healing. RC is a case is point. He is an athletic patient who despite surgery on the left Achilles tendon continued to have pain and limited function Next step was a large orthopedic surgery with grafting of a foot tendon into the Achilles tendon. RC sought a second opinion at the Centeno-Schultz Clinic. Past medical history was significant for the use of simvastatin for elevated cholesterol which has been associated with tendonitis and possible tendon rupture. Physical examination was significant for weakness in the left big toe and abnormal neurologic exam consistent with nerve root irritation of a lumbar nerve root. After being tapering off his cholesterol medication, RC underwent mysofasical deactivation(IMS), x-ray guided injections of platelet derived growth factors into the lumbar spine, ultrasound guided injections of PRP and physical therapy. Yesterday RC returned to clinic and reported 80% improvement and return to athletic activity. By discontinuing a toxic medication, addressing neurologic and muscular based dysfunction along with PRP injections, RC patient was able to avoid surgery.